Your storefront is one of the first things visitors take in about your business. Perfecting it is therefore essential, with window graphics making an impact on established and prospective customers alike. Bare buildings won’t cut it. Your store walls, windows and doors are prime space to convey key branding messages that’ll turn heads for all the right reasons. SpeedPro’s in-house visual communications consultants will work with you to create the highest-quality, clearest and crispest promotional window decals and clings precisely for your business. “Custom” is not a buzzword for us. It’s a commitment. Get ready to level up your storefront, your sales and your business through professionally printed window graphics. Look no further than SpeedPro when it comes to designing, printing and installing custom window graphics for your business. 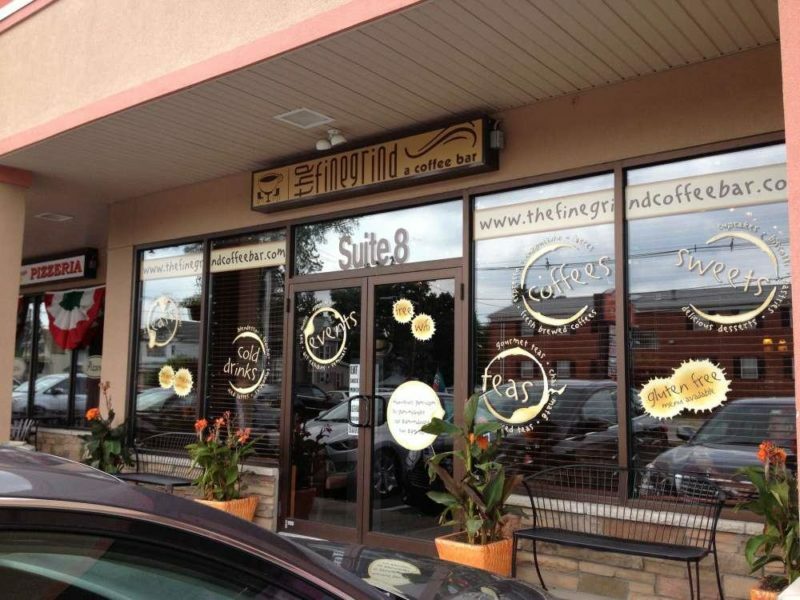 Custom window graphics provide advantages beyond a sleeker storefront. Consider the branding implications of making your walls and windows the most visually appealing, stand-out features on the block — as well as what benefits it can lend to your bottom line. Windows can look professional yet personalized when they have the right designs. Custom window graphics strike that all-essential balance that draws eyes and keeps them there. You’ll find more people reading information, taking in your logo, familiarizing themselves with your products and services and ultimately connecting with your brand. Brand awareness has a few layers to it, and window graphics can help with each one. First, basic brand awareness means a sizeable amount of your target customer market has heard of your company. For B2B (business-to-business) operations, it means professional organizations hold that awareness, whereas B2C (business-to-consumer) companies aim to establish it with the general public. More robust brand awareness goes one step further. Target markets have heard your name and made some connection with your products or services. The connection itself is multi-dimensional, involving both mental and emotional associations that you’ve curated through visually impactful, distinct and consistent on-brand messages maintained through your website, social media accounts, advertisements, employees, products, services and — of course — storefront. The best brand awareness strategies incorporate custom window graphics to complement all the marketing and advertising strategies small businesses employ. Together, they breed elevated brand awareness that goes beyond name recognition. There are few better ways to physically advertise sales and promotions than through window graphics. Given their range of options and customizations — from high-quality logos printed on full-window perforated film to intricate and informative sticky decals — window graphics relay information about the goods and services that make your business tick. After all, you wouldn’t be in business without them. Window decals bring personality and life to plain glass at a fraction of the cost of traditional renovations. Few other design initiatives can match window graphics’ price point, with the average office renovation costing business owners nearly $200 per square foot. From the inside, window graphics add privacy and a sense of refinement. Employees can avoid feeling like fish in a glass bowl every time foot traffic goes by, while customers and clients within can feel like they’re part of a more intimate and involved space. 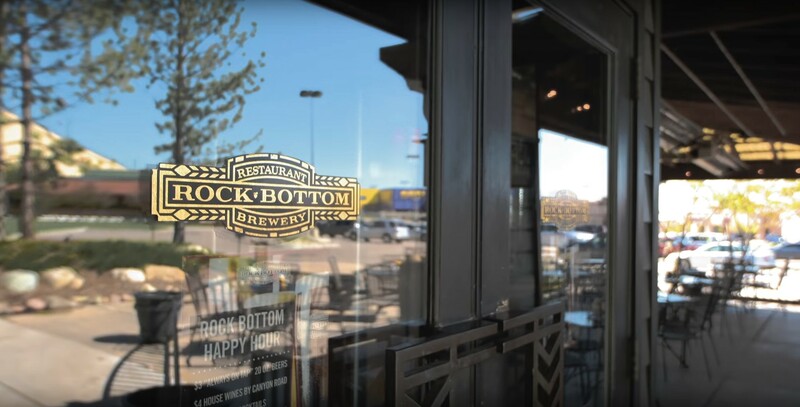 Whether through frosted window imagery, full vinyl perforated windows or strategically placed decals and stickers, employees and visiting customers will experience natural light and outdoor views without feeling uncomfortably exposed. On the outside, storefronts with these graphics can be embellished and on-brand. Buildings become more than brick and mortar. They’re amplified to match the exact brand personality you want your business to be known for. 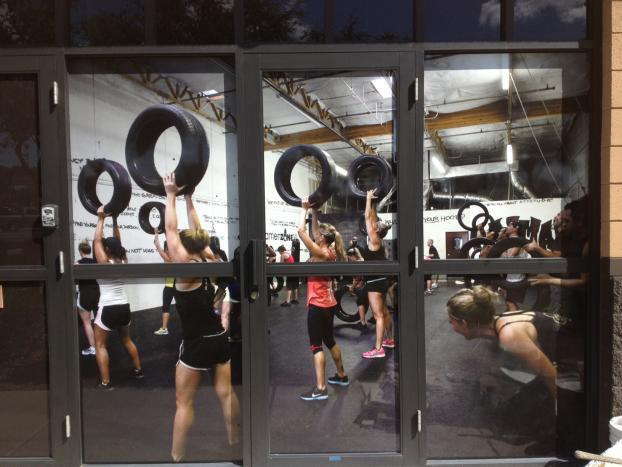 Strategic window graphics help inspire certain customer behaviors or actions. You make the calls on what you want encouraged in customers — from the purchase of a particular product to signing up for your weekly newsletter — then craft your custom window imagery and text, putting it into motion. Window graphics are easily exchangeable. New or updated decals, impact images and vinyl lettering can be swapped and updated when business information itself changes, like hours or phone numbers. You as the business owner might also want to promote different goods, such as a new line of winter wear. The possibilities are endless, and the decisions are entirely up to your marketing targets. This advertising flexibility is a vital business advantage. Businesses with changing window decals and clings convey that they’re lively and thriving, with new deals, fresh merchandise and creative specials. Even the most frequent and loyal customers will feel there’s something new to see in your store every time they visit. What’s more, exchangeable window graphics create a sense of urgency. Particular products or services offered in a small window of time should be advertised as such, drumming up excitement and making the offering too good to resist. Blank windows have many benefits. They pull in natural light, make a room appear open and can give your building a more uniform look from the interior and exterior. Yet for the spatially conscious, the detail-oriented, the out-of-the-box thinker and the task maximizer (a.k.a just about anyone), that’s not enough. Business window graphics can make use of every square inch of your store or office. They do so intentionally too, without any clutter or off-brand aesthetics. With today’s printing material technology, custom window graphics for your business don’t have to sacrifice the benefits of blank windows. Perforated and frosted windows both permit natural sunlight to fill your space. Likewise, smaller window clings hung individually can be printed using white ink, negative space and transparent materials to maximize light passing through, brightening interior views, granting exterior visibility and taking advantage of all advertising space. HOW MUCH DO CUSTOM WINDOW GRAPHICS COST? Design: The level of detail involved in a window graphic is the first significant variable in order price. More intricate prints involving multiple colors, etching, shading, actual pictures or high-resolution images will increase costs. Likewise, you can provide the decal’s design yourself or utilize the skills of a professional designer employed in-house by some printing studios. It all depends on your taste, budget and final vision. Application: Where graphics will be displayed constitutes the next pricing variable. Interior window graphics placed on glass partitions, dividers or glass conference room walls will be different than those that need to hold up to harsher exterior conditions like direct sunlight and rain. Also consider if you plan to install the graphics yourself or wish to hire a professional. Materials: You can select from dozens of base materials and variations for your window graphics. Perforated window vinyl, premium vinyl, frosted window graphics, clear clings, multi-colored clings and reflective imagery are just a few of the many choices available to customers. SpeedPro experts can walk you through which material is best depending on where you intend to mount your graphics (inside or outside, short-term or long-term) as well as which will enhance current brand aesthetics and even the ambiance of your storefront space. Quantity: Decals and window clings are typically smaller, with individual images or text. They’re stuck onto the inside or outside of windows and glass doors and range in size from a few inches to one to two feet. On the other end of the graphics spectrum are perforated windows, which are graphic coverings meant for larger surfaces like entire windowpanes. Final order costs will depend on both the size of your graphics order as well as their classification — decal versus cling versus perforated window print. At Speedpro, our consultants can give clear answers to pricing and cost structures at the onset of an order. Our customers don’t wonder about the process of how and where to buy custom window graphics or if they’re in for any surprises once they get the bill. You have a one-stop partner to turn to every step of the way, including designing graphics that align with your aesthetics, business objectives and wallet. SpeedPro window graphics come in a suite of core options. They’re built to help you select the right materials and design for your ideal wall or window environment as well as ensure that design remains intact. 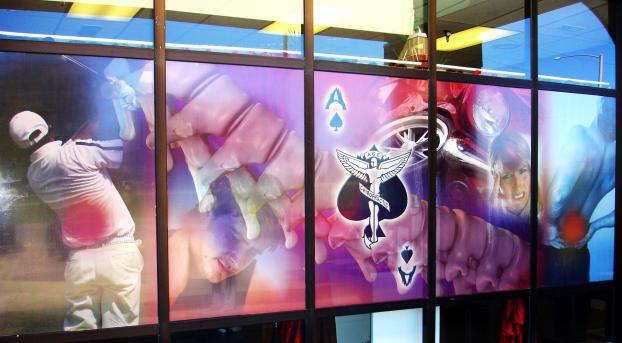 These custom window graphic products provide the template for you to reimagine your storefront. First surface window graphics are mounted on the exterior face of windows, doors and glass panes, and they face outward. Put more simply, they’re “outside-looking-out” graphics. Second surface window graphics are installed on the interior of windowpane, door or panel substrates. Like their first surface cousins, they face outward to create their eye-catching storefront displays. Short-term window graphics are those fabricated with repositionable adhesive materials. They’re ideal for the kind of time-sensitive promotions discussed above — especially seasons specials, weekly deals and limited-time promotions. 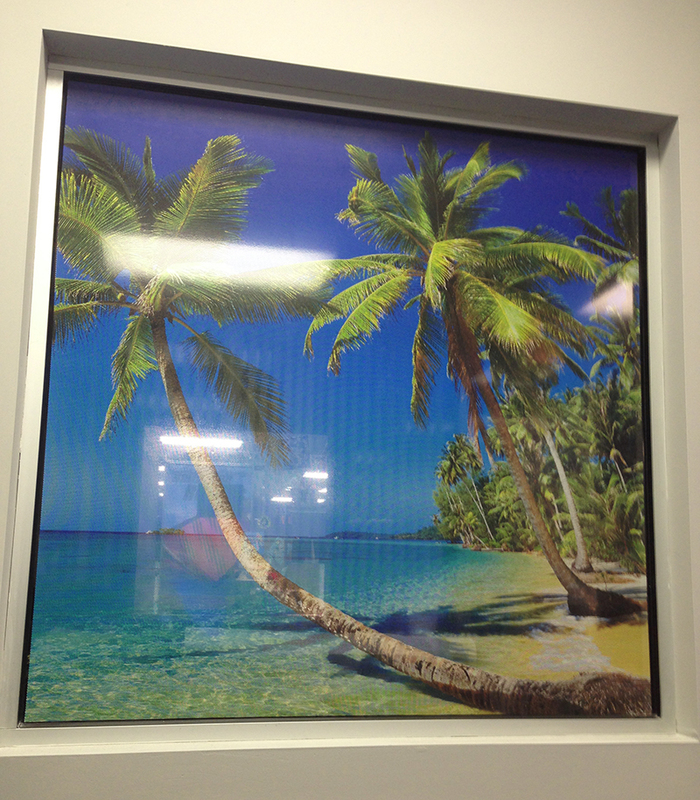 Static clings are the most flexible and reconfigurable of printed window graphics. They actually contain no adhesive face, using a static charge between the print and its substrate to stay in place. Static clings are easy peel-and-place print alternatives for maximum flexibility. Window and wall decals made with a lower-tac stick formula on their adhesive side make for the other ideal short-term graphics solution. 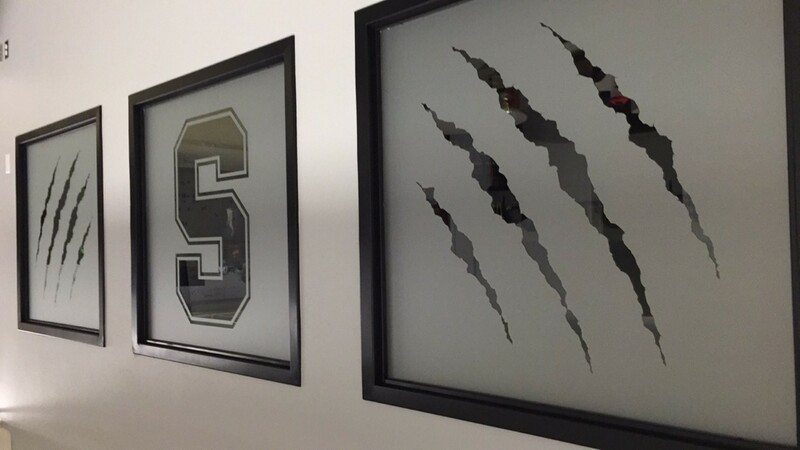 Window decals specified with this adhesive type do have a window of time where items can be repositioned or all-out moved after initial placement on a surface substrate. Window stickers come with an adhesive backing that, as its name suggests, provides one-and-done placement. The terms sticker and decal are often used interchangeably, but they have a significant adhesive difference. Review the terms with any prospective visual communications firms before printing to ensure you’re getting the right adhesive for your needs. Window and wall decals made from higher-tac stick formulas can be specified at the time of order. This product type works well for visuals meant to stay intact, such as business logos, store hours and perforated window vinyl creating one-way visibility.